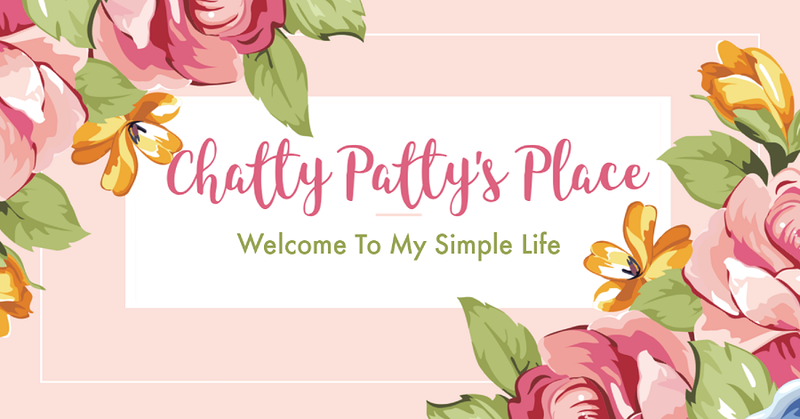 Welcome to the Welcome Winter Giveaway Hop hosted by The Review Wire and Chatty Patty's Place. We are happy to be bringing you two useful products that will help you save money and keep you organized. 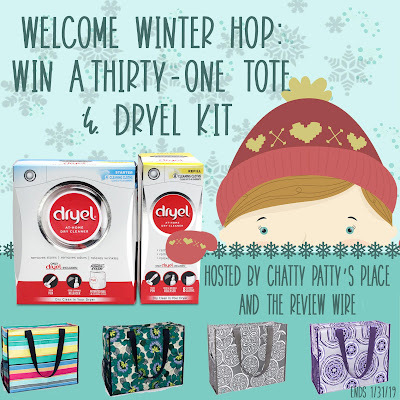 One reader will win a beautiful Deluxe Organizing Tote from Thirtyone in choice of color and personalization, and a Dryel Starter Kit and 2 Refills to help save money on dry cleaning. 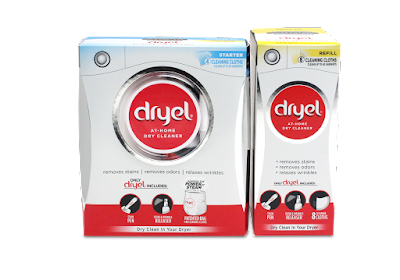 Dryel is the best way to safely and thoroughly clean your special care clothes at home. The patented Fabric Protection Bag protects clothes and concentrates the gentle cleaning vapor from the ULTRAcleaning™ cloth for optimal cleaning performance. No fading, shrinking, or stretching like is often caused by wet washing or dry cleaning. Dryel works in the convenience of your dryer in as little as 15 minutes and saves up to 90% of the cost of dry cleaning. So, when you have suits, dresses, or even jeans and sweaters that need to be cleaned, skip the hassle, expense, and harsh chemicals of the dry cleaner. Choose Dryel instead. Also try the NEW Dryel On-the-Go Stain Pen! 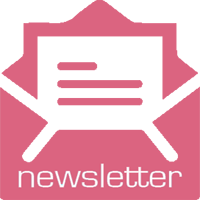 Enter to win a Deluxe Organizing Bag from Thirtyone in your choice of available patterns and personalization. 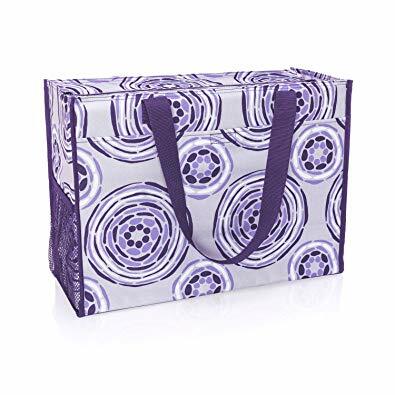 This tote is big and roomy and perfect for many of your organizing needs. See Chatty Patty's review for more information on this amazing tote. Open to U.S. residents of the 48 contiguous United States. You must be 18 years old to enter to win. This giveaway ends 1.31.19. So cool! I’m sure anyone would find a good use for the tote.